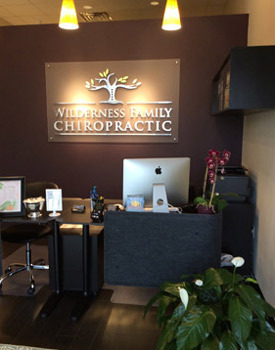 Since 1998, Wilderness Family Chiropractic has been assisting families in their quest to eliminate pain and optimize wellness. We currently provide state-of-the-art chiropractic services in two locations: an office in Locust Grove, and a satellite clinic in Harrison Crossing. Our locations are ideal for those living in Fredericksburg. We place particular emphasis on the core values of traditional chiropractic care and cater to the needs of people from all walks of life. Our consistent mission is to help as many people as possible live a healthier, happier life. We accomplish this goal through the natural health care benefits of chiropractic and massage. Our eventual hope is that every patient we encounter will reap the rewards of genuine wellness, with little to no pain and full function. We’re passionate about helping our patients become proactive in their desire to stay healthy, rather than remain reactive to unwanted symptoms through drugs and surgical intervention. We’ve also had at least two couples over the years who were unable to conceive. Following precise and consistent treatment at our chiropractic care center, both couples were blessed with subsequent pregnancies. The true definition of doctor is “to teach.” As Dr. Stewart often says, “My purpose is to serve my patients, lead them, and love them.” We’d like to invite you to experience the many benefits of a wellness lifestyle, or at the very least, eliminate your pain. Contact us today for a free consultation; we’re here to help!